Carbondale is located in a unique and highly desirable valley. The Town of Carbondale recognizes that having a supply of Community Housing attainable by working households in the Town of Carbondale is critical to retaining a diversified and sustainable town, having the character and sense of community of a town where people can live and work in the same area. The citizens of the Town of Carbondale do not want Carbondale to become an exclusive community. Historically, working persons and households have been able to attain housing in the Carbondale area; and the Town of Carbondale currently reflects a mix of socio-economic backgrounds. The Town further recognizes that there is a growing gap between housing costs and wages in Carbondale. Therefore, the Board of Trustees has determined that it needs to develop and maintain a Community Housing program. The intent of the of the Community Housing program is to mitigate the impact of market-rate housing construction on the limited supply of available land suitable for housing. The goal of these regulations is to require new development to provide community housing attainable by persons working in the Mid-Valley and paying no more than 30 percent of their household income for total housing expense, including debt service, homeowner’s insurance, real estate taxes, land lease if any, and HOA dues, or rent plus utilities in the case of affordable rentals. 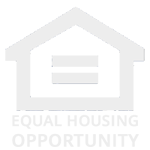 The Garfield County Housing Authority shall assign all Qualified Applicants 1 of 2 priorities. Priority One- Priority to persons who live and/or work within the boundaries of the Town of Carbondale, a retired person who has been a full-time employee in the Employment Area a minimum of four years immediately prior to his or her retirement with priority to persons who live or work within the boundaries of the Town of Carbondale, or a disabled person who has been a full-time employee in the Employment Area a minimum of two years immediately prior to their disability; or the spouse or dependent of any such qualified employee, retired person, or disabled person. Retirees who are new to the area may qualify to purchase an R.O. (Resident Occupied) unit, but are next in Priority to persons meeting local employment history requirements. Priority Two-A Qualified Person must be a full-time employee working in the Roaring Fork River Drainage Basin located from Aspen to Glenwood and the Crystal River drainage including Redstone and Marble. *Full-time is defined as a minimum of 32 hours per week per calendar year. Thomspon Corner is located within River Valley Ranch in Carbondale and consists of 60 units. The deed restricted units consists of thirty-six single family homes ranging in size from two to three bedrooms, and twenty-four duplex units ranging in size from one to two bedrooms. These properties have a maximum resale price with an 3% annual appreciation based on the Consumer Price Index. There is an active Homeowners Association for this property. Keator Grove is located on the south side of Hwy 133 in Carbondale. This development has 52 deed restricted units consisting of thirty-six single family homes ranging in size from two to three bedrooms in addition to sixteen condominiums that range from two to three bedrooms. The AMI units have a maximum resale price with an 3% annual appreciation based on the Consumer Price Index. There is an active Homeowners Association for this property. Lines III Condos are conveniently located on W. Main Street in Carbondale. This building consists of six deed restricted units, all condos with two bedrooms. The AMI units have a maximum resale price with an 3% annual appreciation based on the Consumer Price Index. There is an active Homeowners Association for this property. Spruce Townhomes are located on N. 8th Street in Carbondale. There is one deed restricted unit, a townhome, with two bedrooms. This property have a maximum resale price with an 3% annual appreciation based on the Consumer Price Index. There is an active Homeowners Association for this property. Located within Crystal Village subdivision, west of Hwy 133 in Carbondale, there is one deed restricted unit, a townhome, with two bedrooms. This property have a maximum resale price with an 4% annual appreciation based on the Consumer Price Index. There is an active Homeowners Association for this property. The Mountain Sage Townhomes, located on Main Street, have seven deed restricted units, consisting of two and three bedrooms. The AMI units have a maximum resale price with an 3% annual appreciation based on the Consumer Price Index. There is an active Homeowners Association for this property. Located on Colorado Ave, close to downtown Carbondale, Colorado Place Condominiums have three deed restricted units, all one bedrooms. These properties have a maximum resale price with an 3% annual appreciation based on the Consumer Price Index. There is an active Homeowners Association for this property. Sonic Condominiums are located on South 2nd Street in Carbondale. There are five deed restricted units consisting of two bedrooms. There is an active Homeowners Association for this property. The Town of Carbondale has two Affordable Housing Rentals located on Cooper Place. Both rental units consists of one bedroom and 1.5 baths. All applicants must qualify for Community Housing based on an 80% AMI (Category 1) through the Town of Carbondale Guidelines as well as an application through the landlord.